Vintage Old British Indian Postcard. 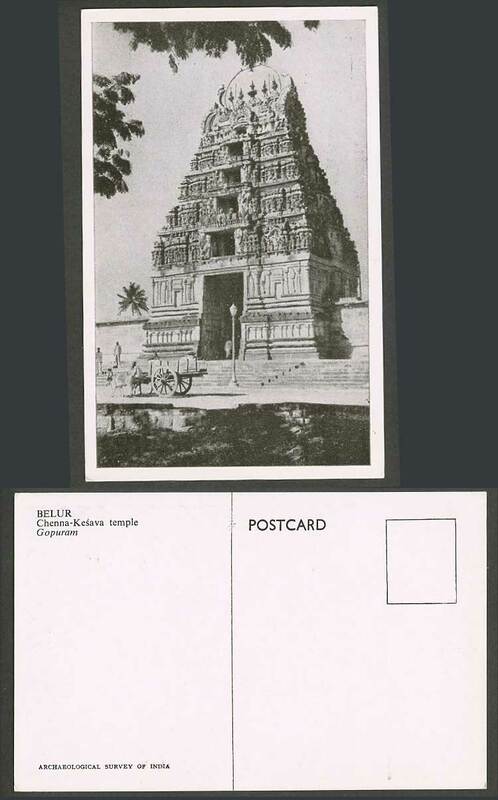 India, Belur, Chenna Kesava Temple, Gopuram, Monumental Entrance Tower, Steps, Street Scene, Cattle Cart. Background: A Gopuram or gopura is a monumental entrance tower, usually ornate, at the entrance of a Hindu temple, in the Dravidian architecture of the Tamil Nadu, Andhra Pradesh, Kerala, Karnataka, and Telangana states of Southern India.